« What Do the New Philippine Protests Mean for Duterte? A week before the global celebration of Human Rights Day in 2016, various people’s organizations in the Philippines conducted a solidarity fasting campaign to press for the release of 400 political prisoners. In response, a government peace negotiator described the action as counterproductive and that it is putting undue pressure to President Rodrigo Duterte. Never mind the irony of a supposedly peace advocate belittling the right of the people to campaign for freedom and justice on Human Rights Week. Anyway, the campaign was successfully held and it helped promote awareness about the continuing detention of activists charged with trumped-up cases. But the reaction of the Palace official merits greater discussion and it should be outrightly denounced. If it sounded familiar, it is because this line of reasoning is the typical rejoinder of politicians and others who wield bureaucratic power when the grassroots demand something from the state. They often dismiss the validity of collective actions, which they demonize as mob democracy, preferring instead to deal only with what they call as lawful citizen initiatives. Some even profess support for specific causes but they insist that these should be advocated in a peaceful, legal, and respectful manner. This means students may call for free education but they should not barricade campuses, workers may petition for a wage increase but they should refrain from staging an industrial strike, farmers may negotiate for a higher share during harvest season but they should not intimidate landlords, migrants may seek better welfare policies but they should not rush policymakers, the poor may assert their housing right but they should not provoke and attack the demolition team, activists may call for the urgent freedom of political detainees but they should not hold militant actions near the presidential palace. It is as if bureaucrats can be easily persuaded to act favorably on a particular political demand, but they can also instantly retract their decision if they perceive citizen groups as being too persuasive, agitated, and unruly. From the point of view of those who control the state apparatuses, legitimate advocacies become less legitimate if the advocates do not know how to respect the power of authorities. In many instances, they draw attention to the excesses allegedly committed by activists to justify the slow and even non-action of the government. They redirect the blame away from non-performing bureaucrats by accusing activists of being unreasonable and violent. They endorse a moderate type of activism instead of the radical activism practiced by so-called professional ‘temperamental brats’. It is as if the great aim of politics is to appear respectful and virtuous in the eyes of the state. Moderate activism is acknowledged by many politicians as responsible and intelligent activism. It means citizens are free to engage public officials but they should learn to be polite and meek especially when the state rejects their demands. Some practitioners of moderate activism become unwitting apologists of the state when they join politicians in denouncing the militancy of radical activists. Worse, they spread the insidious propaganda that the radical brand of activism is obsolete, ineffective, and destructive. That reforms cannot be won through aggressive actions. That politicians are ready to listen but only if the people will disavow the disruptive tactics of ‘rah-rah’ activists. This kind of moderate activism degenerates into a sophisticated drive for less activism. It is wrong and dangerous assumption that militant activism poses a real threat to politics. Only politicians and their cheerleaders are afraid of seeing citizens linking arms and marching in the streets. They exaggerate and focus on the petty inconveniences caused by collective actions while misnaming this activism as an excessive and evil kind of politics. They use vast amount of resources and their influence in promoting this perspective in mainstream society that’s why activists today are often forced to be on the defensive when espousing something in public. But what should be clarified is that radical activism is not a terrifying alternative despite what its detractors are claiming. The real threat to society is less activism. The problem is not that a large number of people are shouting for peace and justice in the streets, but the fact that few are doing it. What is troubling in a democracy is not that citizens are forceful in engaging their leaders but the sad reality that majority are blindly following the order of authorities most of the time. That activists may be aggressive during rallies but ignoring what is fundamentally wrong in society contributes to greater violence and evil. The problem is not the noise of street actions but the deliberate silence of our apathies. We saw the historic legacy of radical activism through the 1896 revolution and the anti-dictatorship struggle. 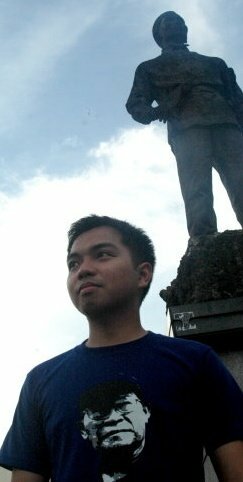 Aside from continuing this legacy, we need greater doses of this activism to end inequality, foreign plunder, bad governance, and feudal exploitation. Less activism would only prolong the suffering of our people by preserving the power of oppressors in society. What is the worst that could happen if many of our people suddenly decide to become activists? This was probably the same dilemma faced by our national heroes during the last years of Spanish rule. What if most Filipinos were to embrace the politics of the Katipunan? Oh nothing much happened aside from us gaining our independence! Will it be a problem if most Filipinos were to embrace the principles of activism? Politicians will probably answer in the affirmative while their ideological minions are expected to provide the intellectual basis like the need to uphold stability, rule of law, and modernity. But what is there to affirm other than what we have at the moment: A society ruled by oligarchs, dynasties, and foreign plunderers while majority of the people endure preventable miseries and subhuman conditions. A sociopolitical disorder propped up by the suffering of the poor, the wealth of the land hoarded in foreign shores, and a tiny rapacious elite using legal violence to silence the dissidents. Ah the situation requires no less than a revolution to subvert the rule of the minority over the majority. Any talk of less activism is a shameful defense of the unequal and unjust present. This entry was posted on Friday, May 12th, 2017 at 9:05 am	and is filed under reds, youth. You can follow any responses to this entry through the RSS 2.0 feed. You can leave a response, or trackback from your own site.